Bing has just release their Webmaster Guidelines. No great revelations here, four things are needed to rank Content, Incoming Links, Social Signals, and “indexation” (which sounds a lot like incoming links to me). With Bing’s ties to Facebook, Social Signals is one you should be paying particular attention to. They do highlight some technical things such as page load time, robots.txt, and sitemap, the document covers page structure, <H1> tags for headers an do on and Navigational structure. 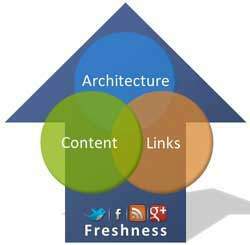 And they caution about having too many outgoing links, link farms, and the like.